When performing various repair and construction works, it is often necessary to make a large diameter hole in metal or plastic. When drilling large diameter holes, a number of difficulties. If you buy a sufficiently powerful drill is not difficult, but to have all the required drill diameters is a problem. Drill diameter 10 - 40 mm are quite expensive, bulky and their shanks may be clamped by the Chuck of a drill available. 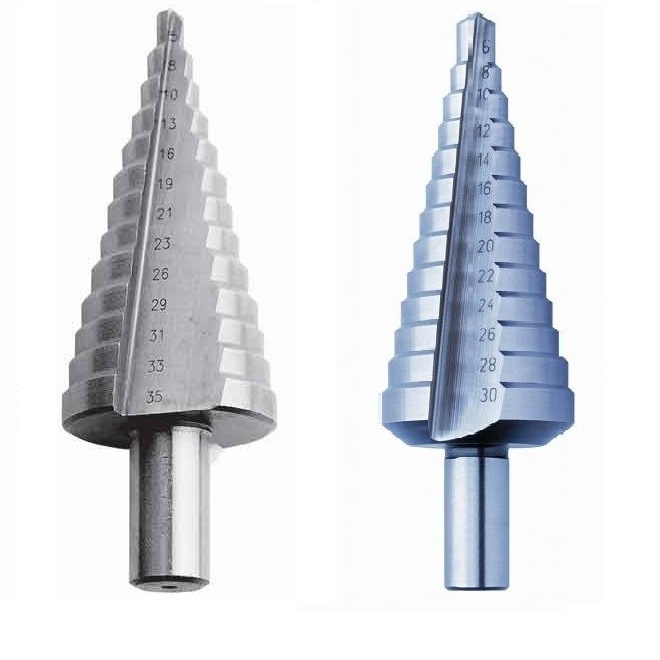 In addition, when drilling thin metal of a conventional drill turns the wrong hole triangular in shape. To overcome these difficulties helps step drill. It is a cone with ledges, each of which is responsible for its diameter. The most common in the sale of drill bits 9 - 12 sets of steps and allow you to make holes of 4 to 36mm in diameter. Allowed to drill holes in the solid metal up to 2mm, in colour and up to 5mm up to 10mm in plastic. In order to make a hole step drill bit, it is necessary to clamp in the Chuck of a drill and tip to lean to the planned drilling point. To ncarnival the selected location is not necessary, since the drill does not slip, and immediately bites into the metal. Next, you need to start drilling, increasing gradually with each step the diameter of the hole to the required. At the end, the same drill can be done facet.